Donald Trump, who pledged to address the North Korean issue during his five-nation Asian trip, has discussed possible ways to tame Pyongyang with Japanese Prime Minister Shinzo Abe. MOSCOW (Sputnik) – Japan's purchase of US military equipment aimed at shooting down North Korean missiles may provoke nuclear conflict, the chairman of the Russian upper house’s Foreign Affairs Committee, Konstantin Kosachev, told Sputnik on Monday. Kosachev also added that the United States and Japan were "jeopardizing the common cause" of resolution of the situation by agreeing to exert additional pressure on Pyongyang. Earlier in the day, Japanese Prime Minister Shinzo Abe said during a speech following his meeting with Donald Trump said that it was the time "for applying about maximum level of pressure on North Korea." 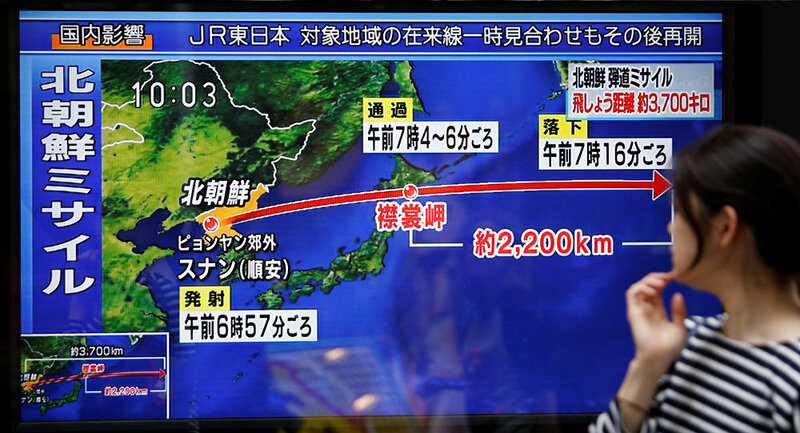 He noted that interception of Pyongyang's missiles was possible through coordination of actions between Japan and the United States. 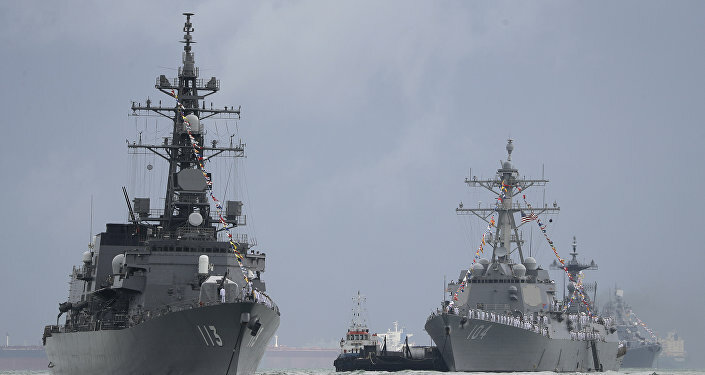 US President Donald Trump, in turn, noted that if Tokyo purchased arms from the United States, the country would be capable of shooting down Pyongyang's missiles. The situation on the Korean Peninsula has escalated over the past few months, following several ballistic missile launches and nuclear tests conducted by Pyongyang in violation of the UN Security Council resolutions. In September, the UNSC adopted its toughest resolution against Pyongyang, restricting oil exports and banning imports of textile products from the Asian nation, as well as the country's access to gas liquids.